You guys, she’s done! We’ll she’s actually been done for a couple of weeks already, but I just hadn’t taken any photos of her. She’s pretty cute, right? She’s by no means perfect (but who is? ), but I’m pretty happy with the result. 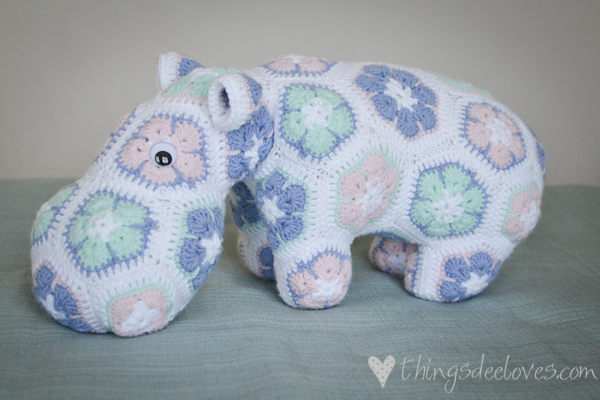 Remember that you can make your very own Happypotamus, just head over to Ravelry for the pattern. 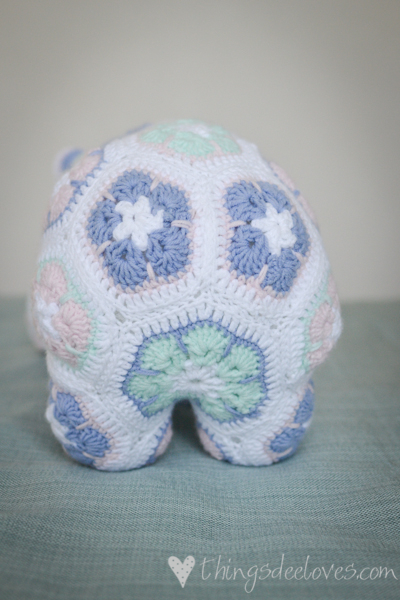 A big thank-you to Heidi for the lovely pattern and the amazing instructions! 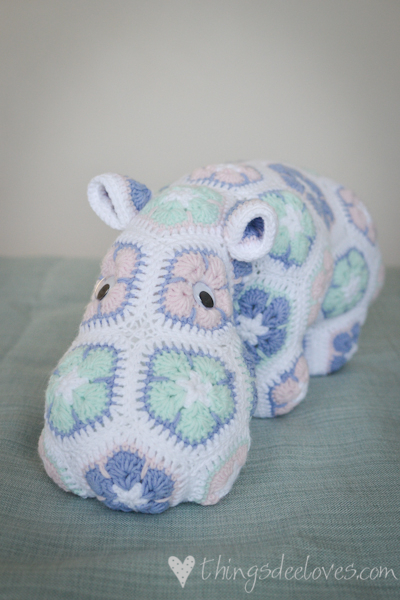 If hippos aren’t your thing, Heidi has also designed some other animals, so check out this page. 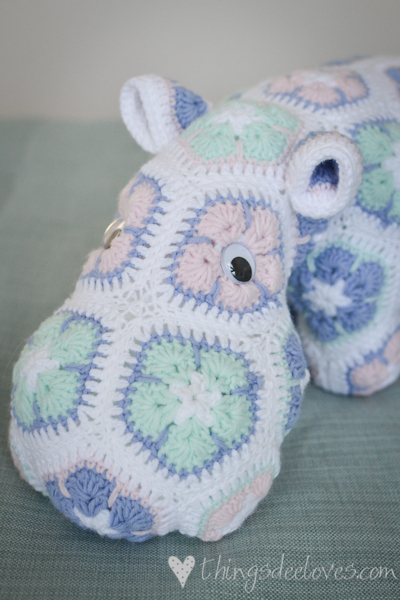 And don’t forget to visit my previous Happypotamus updates here and here. Oh my goodness!!! She is too cute!!! Well done!